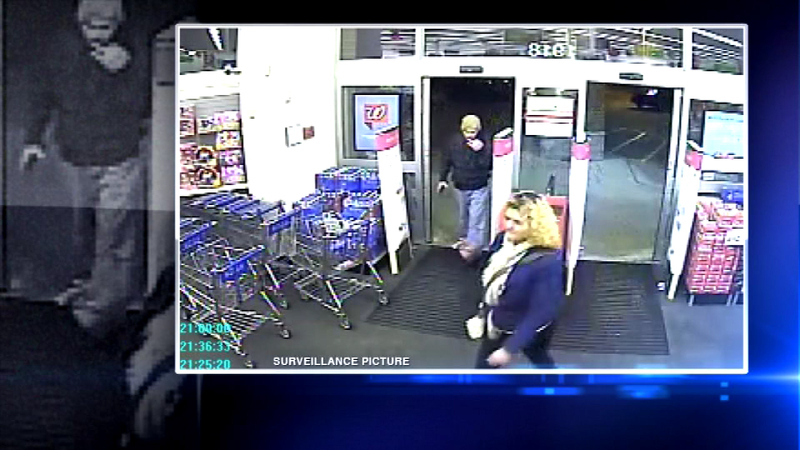 Surveillance photo of two people believed to have stolen hundreds of dollars worth of make-up from Walgreens in Batavia. BATAVIA, Ill. (WLS) -- Two people stole hundreds of dollars worth of make-up from a Walgreens in suburban Batavia earlier this month, police said. A surveillance photo was released and show the man and woman were only in the store for about three minutes on Dec. 1. Police said they took between $500 and $1,000 worth of cosmetics by hiding the goods in a purse.